As makers, we often use tools. A writer might have her favorite fountain pen. A bound journal. Novel writing software. A carpenter has his favorite hammer. A router. An antique set of files. A web programmer has her favorite text editor. Libraries of code snippets. Preferred debuggers. The tools we have at hand affect the making we do. I am a cook, and for the last five years, I have been in a transitional phase in life during which many of my belongings have been in storage. Now, I am in the process of opening those boxes and rediscovering possessions I haven’t seen in some time. What fun! 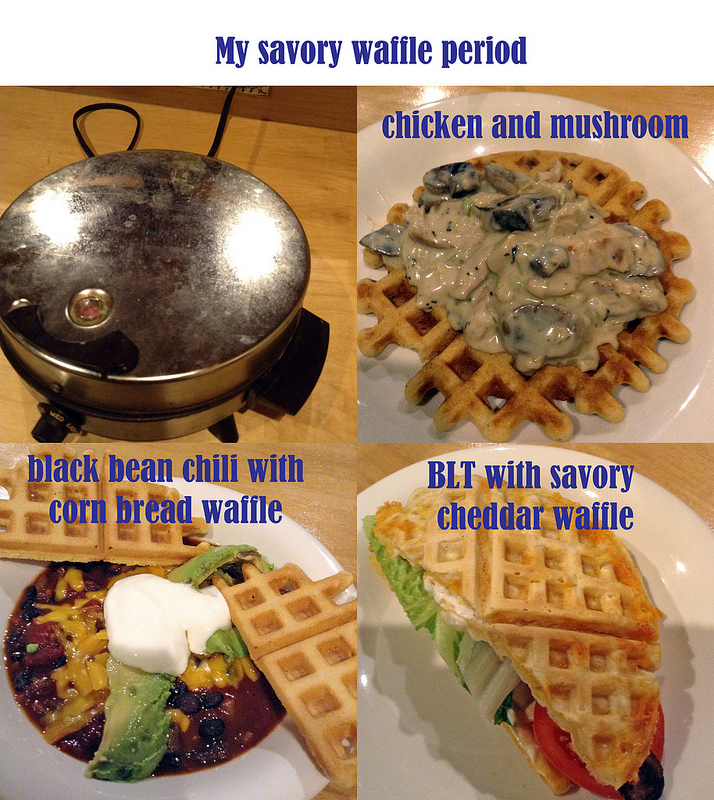 A couple years ago, I ate at a restaurant that served savory waffles as a dinner entrée. I vowed that when I got my waffle iron back, I’d try this. Now I’m in my savory waffle period. Here are a few I’ve made.